Yard Sailin' for Fun and Profit. | Dinosaur Dracula! We went yard sailin’ on Saturday morning, and I think I hit the jackpot. I don’t go to yard sales as often as I did before everyone turned into a wannabe antique dealer. These days, you can barely buy paper plates without hearing about how they’re VERY VALUABLE paper plates first. On balance, there are only so many times I can see $10 price tags on McDonald’s Beanie Babies before orchestrating total stellar genocide. But the weather was really nice. We didn’t want to waste it. Most of the sales were duds, best exemplified by the one ran out of some lady’s backyard. She was selling what I can only describe as a twelve-inch hammock filled with fake fruit. It was the most atrocious thing imaginable, so of course I wanted it. I asked about the price. She gave the fruit hammock a discouraging look, and then made that “ooooh” sound. 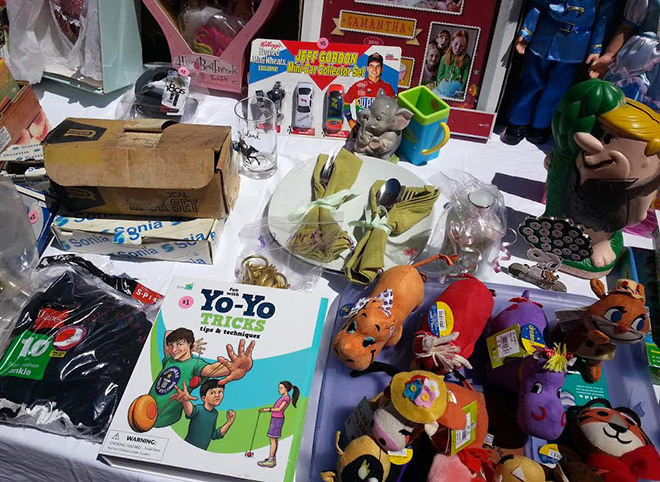 If you’ve been to many yard sales, you know this game. People do that when they’re about to announce an awful price. She bluntly says “twenty five” before quickly turning her back, as if to add “I will not go a penny lower” purely through body language. Twenty five bucks for a novelty hammock stuffed with plastic fruit? Jesus, is it at least lucky? I had better luck at other sales. Much better than I was anticipating, actually. 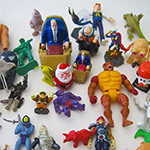 It wasn’t so much that the stuff I picked up was that valuable, but they were really odd things to find at yard sales. Odd in a great way. 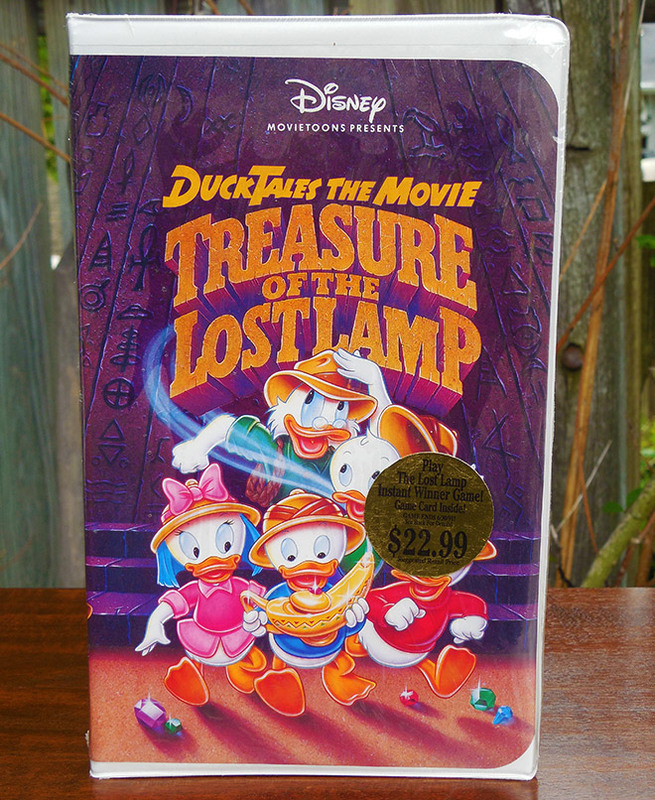 First, a SEALED copy of DuckTales The Movie, from 1991! Only a buck! Disney tapes in clamshell cases are notorious for being resealed on the secondary market, but this one is legit because it still has the price sticker. Look close and you’ll notice that there’s also a Lost Lamp game card inside, which — had I found this tape before 6/30/91 — would have provided me the chance to win a free Disney World vacation. As much as I’d like to crack this baby open, it must remain forever sealed. If I open it and find out that I’m the too-late winner of the Lost Lamp Instant Win Game, I’ll die five years sooner than my doctor predicted. 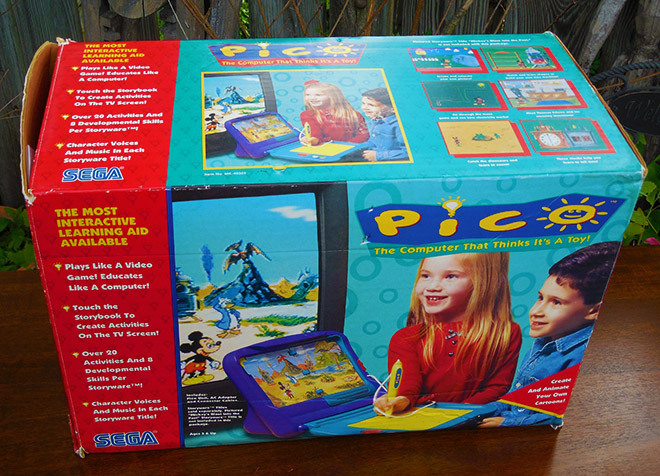 Second, a boxed Sega Pico, complete with the instructions, cardboard inserts and everything. Only five bucks! Released in 1994, it was a game system for the exceedingly young set. By 1994, I was decidedly not exceedingly young, and so I remember almost nothing about the Sega Pico. I only bought it because I loved the bitchin’ “SEGA” logo on the lower left corner of the box. 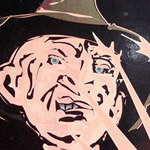 Admittedly, I also bought it on a hunch that it was worth a small fortune. An obscure video game system from twenty years ago sounds it’d be valuable, right? Well, from what I can tell, it isn’t. It’s worth more than I paid, but not enough to go through the hassle of selling. So now I guess it’ll just sit on a shelf in my living room. When younger guests come over and want to talk about the good ol’ Sega Pico, I’ll fake my way through the conversations with lots of nods. OMG THIS. THIS THIS THIS! Of all the Barbie dolls that could’ve been sitting on a folding table otherwise covered with nothing but sheet music, I can’t BELIEVE it was this one. 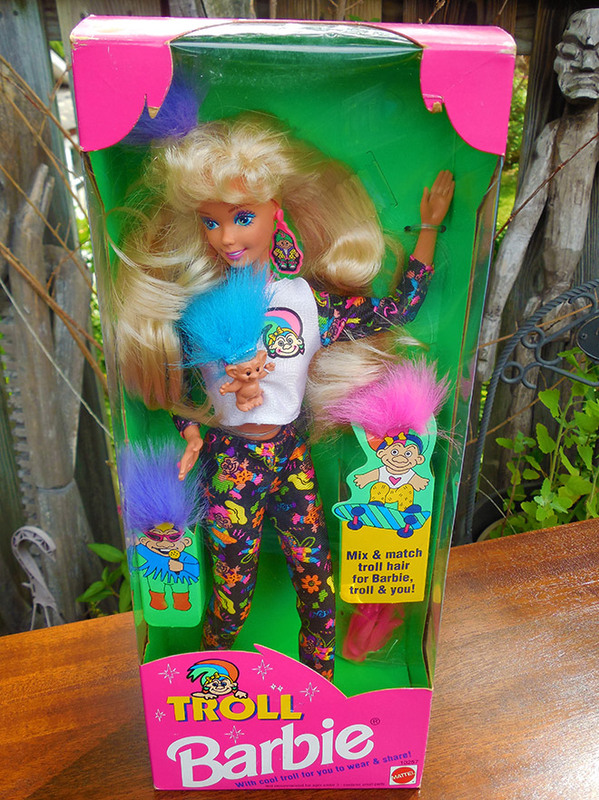 TROLL BARBIE, from 1992! If you’re not an old hag like me, here’s a primer: After spending many years slowly gaining notoriety, Troll dolls enjoyed an explosion of popularity in the early ‘90s. They were EVERYWHERE. 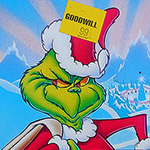 A seeming ten thousand companies made Troll dolls, Troll cards, Troll games and really bad Troll TV shows. Even if you didn’t care one bit about Trolls, you had 50 of them. It just worked that way. TROLL BARBIE marked the phenomenon at its peak, because Mattel wouldn’t have dressed Barbie this stupidly unless they were guaranteed huge returns. Oh my God, would you look at this doll? She is HEAD-TO-TOE COVERED IN TROLL. * A Troll doll which Barbie can wear as an obnoxiously huge brooch. 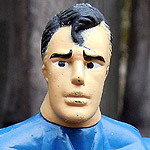 * Several clumps of velcro Troll hair that can be added to Barbie’s own hair. UNBELIEVABLE! It’s not worth much more than the five bucks I paid, but this wasn’t about “value” for me. This is the most ridiculous and beautiful thing I’ve ever seen, and it totally made up for me having to pass on that hammock full of fake fruit. Ten bucks may seem steep for these pumpkin lanterns, but I am no fool. My newfound ability to be perpetually bathed in faint orange light is worth well more than that. 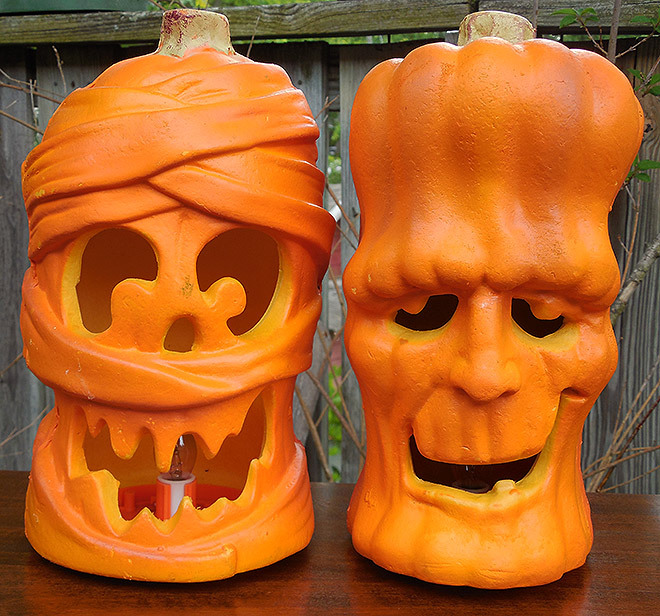 The Frankenstein lantern is showier, but I think I prefer the one on the left, which represents the lovechild of a mummy and a demonic skeleton. Both lanterns still work, and that’s good, because I’d really despise needing to go to Home Depot just to find the right-sized light bulbs for Halloween decorations from 1996. 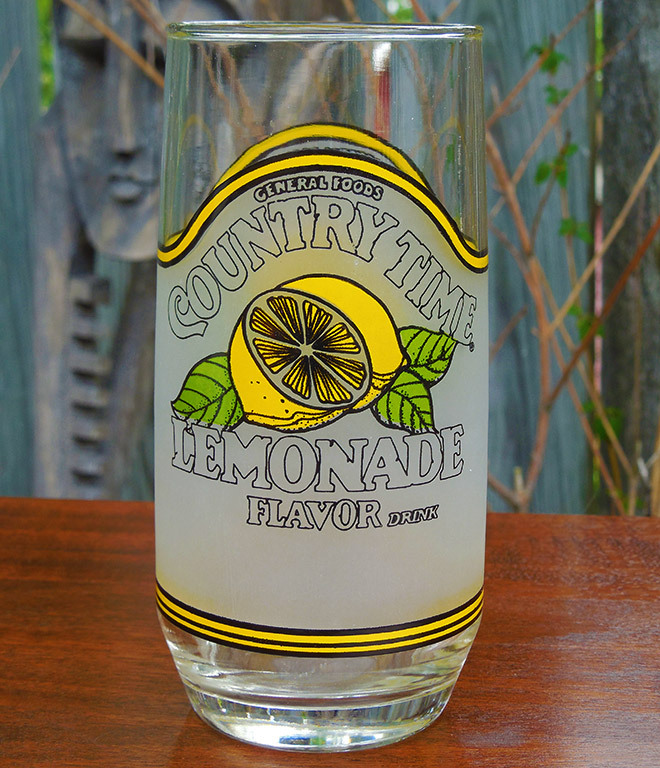 Last but not least, a Country Time Lemonade glass. 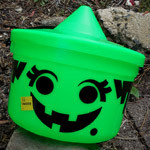 The one dollar asking price made buying this an easy decision, as did the distinct memory of drinking from one of these as a child. God knows how we got it, but lemonade always tasted lemonadier when I drank it out of a glass that said “lemonade” on it. 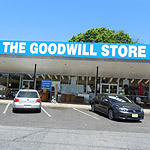 When I buy glasses from yard sales or thrift shops, I normally only have “decorative” intentions. This time, I’m actually going to drink from it. I won’t feel comfortable with that until it’s washed with the kind of bleach you have to sign a waiver for, but it’ll happen. And when it does, I will instantly become Happy Grandpa, creaking in a half-busted rocking chair. Total cost for everything in this post: $22.